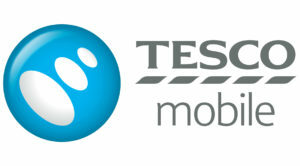 Israel is now on Tesco Mobile’s website following a complaint by a customer, with the assistance of UKLFI. Tesco Mobile’s page, where you can find the cost of international calls between almost any pair of places in the world from Abkhazia to Zambia, did not, until very recently, include Israel, although the “Palestine Authority” was included. Tesco had imposed its own one state solution. Shalom Kupperman’s wife and daughter were in Israel, while he was in Leeds. On 21 August 2018 Mr Kupperman tried to check the costs of making calls from the phones in Israel to the UK and vice versa on Tesco Mobile’s website, as the family had Tesco mobile phone contracts. The drop down alphabetical list featured Ireland, Isle of Man, Italy …… but where was Israel? And yet the list of countries under the letter P included Pakistan, Palestine Authority, Panama, Papua New Guinea and Paraguay. UKLFI helped Mr Kupperman to write a letter to Tesco Mobile pointing out the discrimination. We are pleased to report that Tesco Mobile has now recognised Israel’s existence.